TheLEADERThis is one of the largest investments ever in educational technology in Southeast Asia. Topica Edtech Group, an educational technology group in Vietnam has recently announced that it has raised a $50 million Series D funding led by private equity firm Northstar Group. The proceeds from this funding round will be used to develop new products as well as upgrade the company's technology. 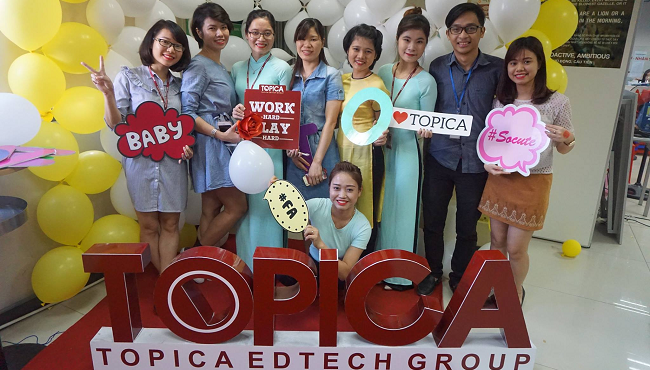 Founded in 2008 by founder Pham Minh Tuan, Topica focuses on developing online English training courses and has gained a lot of successes in Vietnam. According to the company's announcement, Topica has trained about 1 million people up to now. Topica courses are not only available in Vietnam but also in other Southeast Asian countries such as Indonesia, Thailand and the Philippines. Topica Group which has around 1,700 employees provides over 2,000 short courses with online education solutions including Topica Uni, Topica Native, and technology platform for open online courses in many areas (Edumall). In addition, Topica is devoted to cultivating startups in the field of technology and education in Vietnam such as Appota, Atadi, Beeketing, Hoayeuthuong, Kyna, LOGIVAN, Monkey Junior, Uiza, and Wefit. LOGIVAN, the startup in the transportation filed, has recently successfully raised $2.35 million in a series A round. The Northstar Group is a private equity firm managing more than $2 billion in committed equity capital dedicated to investing in growth companies in Indonesia and to a lesser extent, other countries in Southeast Asia. The deal will help Northstar hold a minority stake in Topica and have its staffs appointed to Topica’s Board of Directors. Northstar was Topica's sole investor in the series D round. In previous rounds, Topica received investments from a number of well-known equity firms such as Openspace Ventures, Patamar Capital, CyberAgent Ventures, EduLab Group or IDG Ventures Vietnam. These firms, including CyberAgent Ventures and IDG Ventures Vietnam, have invested in E.D.H Trading Development and Investment Corporation (E.D.H Corp). It is the main legal entity holding shares in subsidiaries of Topica Edtech Group. The company used to own a 99.9-per cent stake in Topica English and a 99.8-per cent stake in EDUTOP64, which operates almost the training programs of Topica Edtech Group. However, E.D.H Corp has recently transferred shares in those two companies. Instead, E.D.H Corp holds a 50.9-per cent stake in Topica Education Management, a new start-up that was founded by Topica founder Pham Minh Tuan. Topica Holdings, a legal entity established in Singapore, now holds an 88.5-per cent stake in E.D.H Corp.